Scott Zura is worried. The propane retailer in Cleveland fears the winter storm that passed through the Rust Belt and hit the Northeast will leave more propane shortages in its wake. "I'm concerned now because we don't know when we are getting it. We don't know if we are getting it, and all the propane companies are in the same boat," he told WXYC. Ohio Governor John Kasich has already declared an energy emergency for the state to expedite propane shipments. Officials in 25 states from Minnesota to Maine have taken similar steps. The emergency declarations mean shippers with valid commercial licenses can drive more hours and more consecutive days in order to deliver propane. Propane is used by more than 12 million households across the country, according to an industry trade group. The current problem is a case of supply and demand. Prices of propane for delivery in January are up 50% in just one week, while supplies are 40% below average, according to John Demopoulus, a commodities analyst at Argus Media. 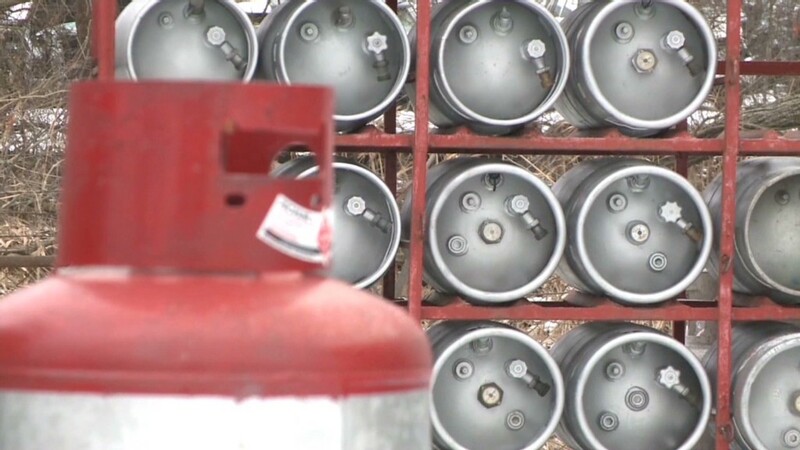 Propane supplies in the Midwest and Northeast were already low due to the recent cold spell dubbed the polar vortex. That has led prices to spike more than 17% from a year ago, according to the U.S. Energy Information Administration. Residential propane prices averaged $2.86 per gallon nationwide last week, but in states like New York, prices topped $3.47 per gallon. Cold weather is not the only culprit for the tight supplies and high prices. The robust corn crop last fall meant producers needed to use more propane to fuel heaters to dry the crop. In Minnesota, 1.33 billion bushels of corn needed to be dried with propane, according to the Minnesota Farm Guide. Greater exports of propane are also crimping supplies. "I guess you could say we are seeing a perfect storm right now," said Demopoulus. Demopoulus said commodities traders usually factor inclement weather into their future bets on prices, but the severely cold January has amplified the price spikes. --CNNMoney's Steve Hargreaves contributed to this report.